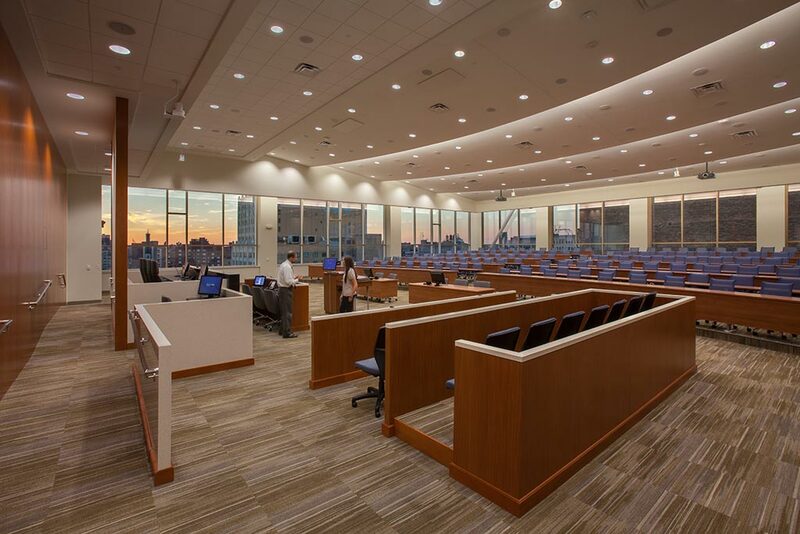 St. Louis architects the Lawrence Group transformed a nondescript 1960s office building into a dynamic, technology-infused, multi-purpose, academic and gathering space for St Louis University’s law school at the center of the city’s venerable legal community and courthouses. 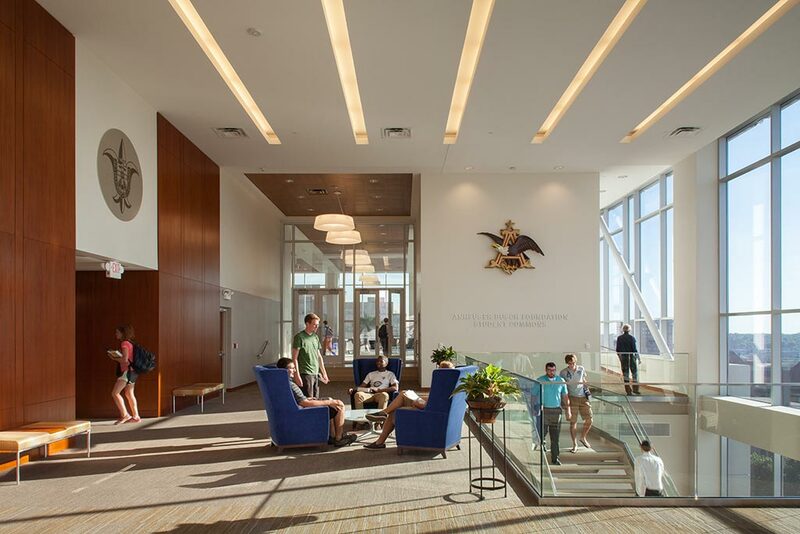 Against a clean modern palette of surface materials, including glass, metal, and marble, the use of African Mahogany brings a warm balance honoring the customary use of rich woods in legal facilities. The warm, ruddy brown wood with a beautiful ribbon stripe graces the atrium elevator lobbies as well as the school’s 300-seat mock courtroom. The exceptionally large leaves of veneer ran up to 17’ wide and 12’ long and scaled up perfectly for the needs of this venerable institution—the oldest law school west of the Mississippi. SLU School of Law’s new downtown facility is an inspiring example of adaptive reuse in the urban core—one that benefits those who use it and the community that surrounds it. Panel layup: Custom Plywood, Inc.